A girl and her bow. Emma and I headed out to the woods last weekend with Emma's Girl Scout troop for a weekend of cabin camping. The weather was beautiful leaning toward the cool side. 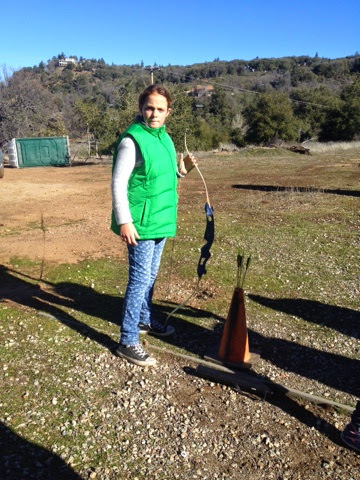 We cooked outside, hiked, shot arrows, built Indian hits and traded stuff for acorns. 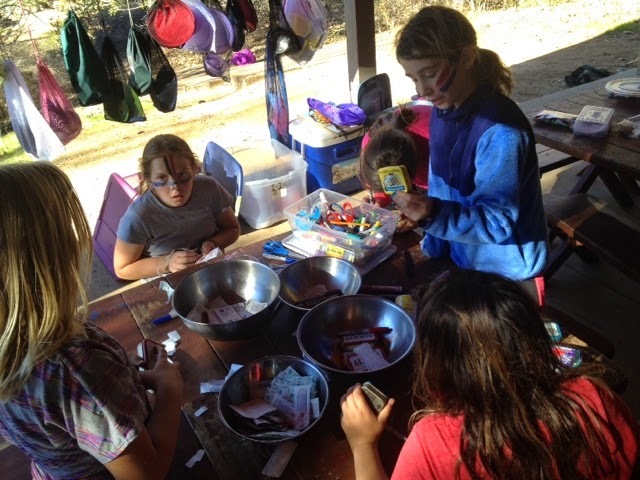 Most all the girls chose their own tribal face paint design while making candles, crafting, learning to knit and generally running amouck in the woods around camp. On a hike up the the archery range, we spotted tracks of all sorts: deer, skunk, raccoon, bobcat, and coyote. It was a good time for us all. 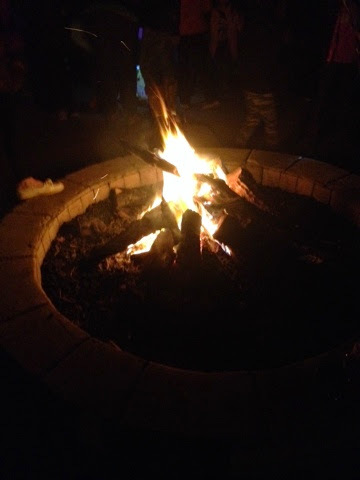 Lots of hot cocoa and coffee, s'mores and taco night. Good times with my Em. Sounds like you both shared a wonderful adventure! 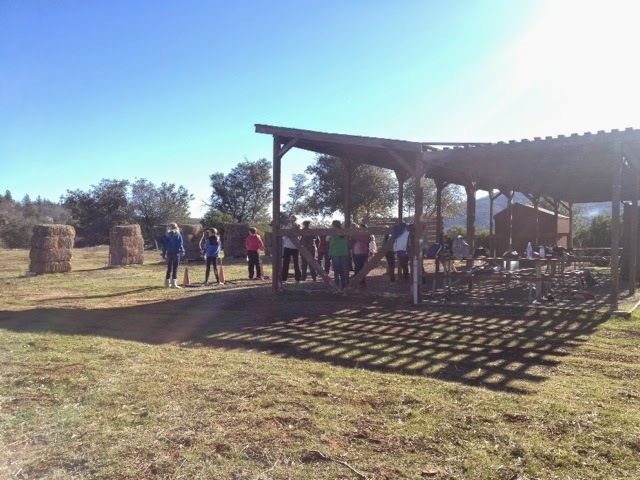 Lots of exciting, fun outdoor activities!! 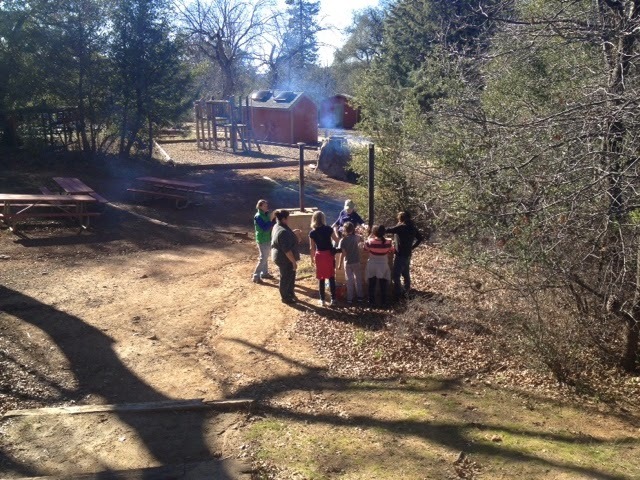 Girl Scout fun times in the wilderness! !